How cute can a slug be? Fall in love with Norman and his sparkly festive disguise! Norman is a slug who dreams of being a snail. He loves to look good. But he tries hard to be good, too. So when a sack of presents lands – THWACK – by his stocking, he’s super-excited. He must have been a very good slug this year! But when he unwraps a few gifts, he sees they’re not meant for him. They must have fallen off Santa’s sleigh. 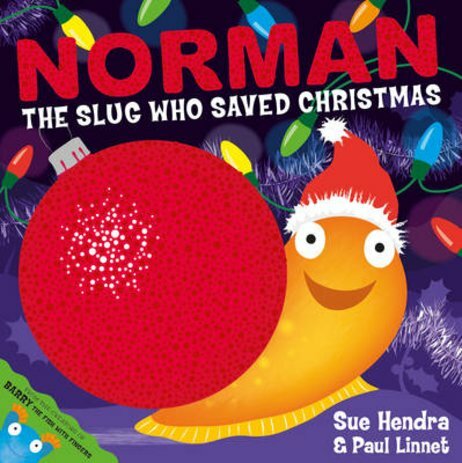 Can Norman do a good deed and save Christmas? Plus: can he do it dressed in a wonderful sparkly shell…?